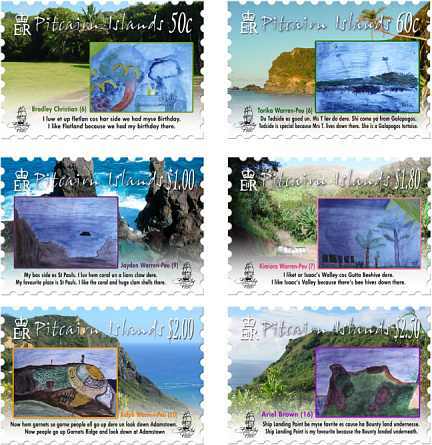 The children of Pitcairn are the heroes of this stamp issue. 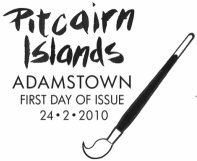 The paintings pictorially show their favourite place on Pitcairn and in the beautiful Pitkern language, they describe why. Pitkern is thought to be a creole language based on an 18th century dialect of English and Tahitian, and has fewer than 100 speakers worldwide. 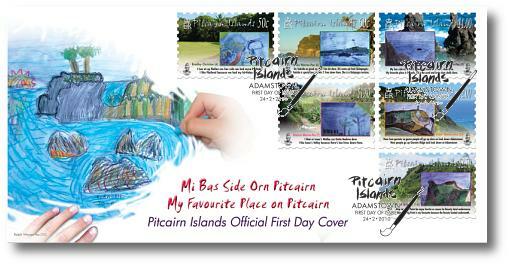 The Philatelic Bureau has just received copies of the Art Book - “Mi Bas Side Orn Pitcairn”. Featuring 19 glossy pages and 29 paintings from the children and teachers, the book also has good descriptions of the chosen places in Pitkern and English. simply email the Bureau or visit our web site.